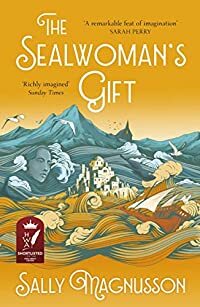 This entry was posted in Books and tagged historical fiction, Iceland, Sally Magnusson, The Sealwoman's Gift by Katrina. Bookmark the permalink. Not my kind of book, however I was interested and appalled to learn of this event in history. Thanks, I should have made it clear that this book is based on an actual happening – that’s what comes of me blogging so late at night – or in the ‘wee small hours’! I enjoyed this too. The writing is beautiful and I loved the contrasting descriptions of life in Iceland and Algeria. I certainly hope that she has some more Iceland based stories that she can turn into books. I like to read about Iceland, and the contrast with Algiers would be interesting. Iceland is one place that I would really like to visit.